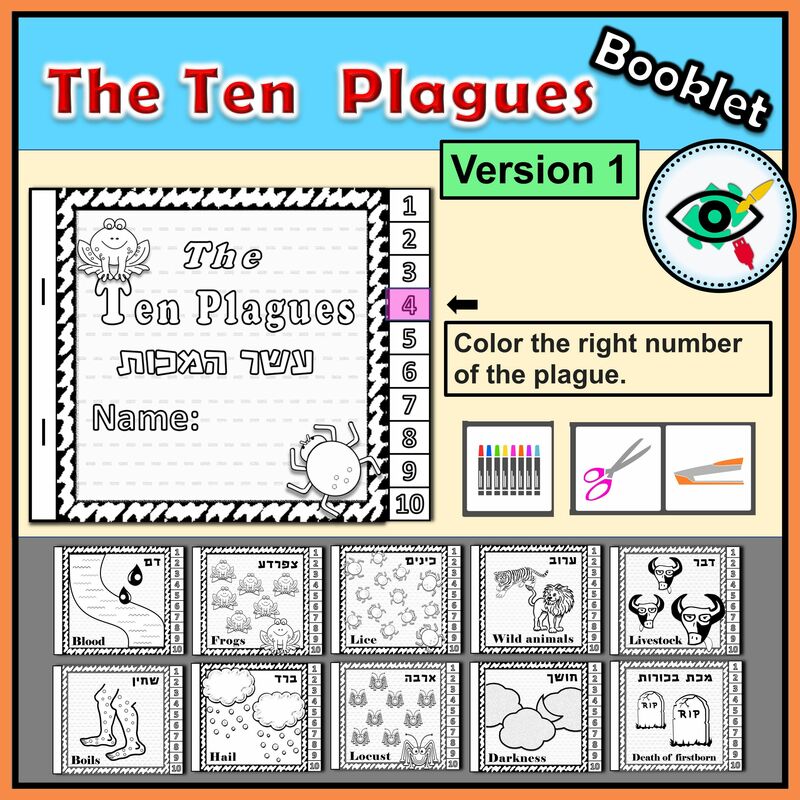 Great activity to teach and learn about the Ten Plagues! 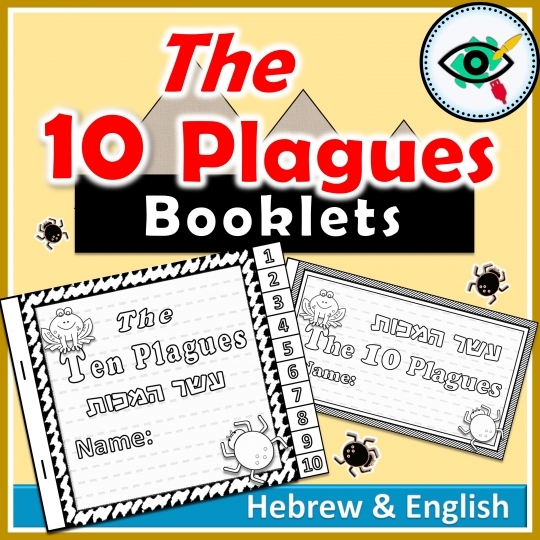 Great activity for learning about the Ten Plagues story during Passover holiday by Coloring, writing and cutting activities for both Hebrew and English learners. 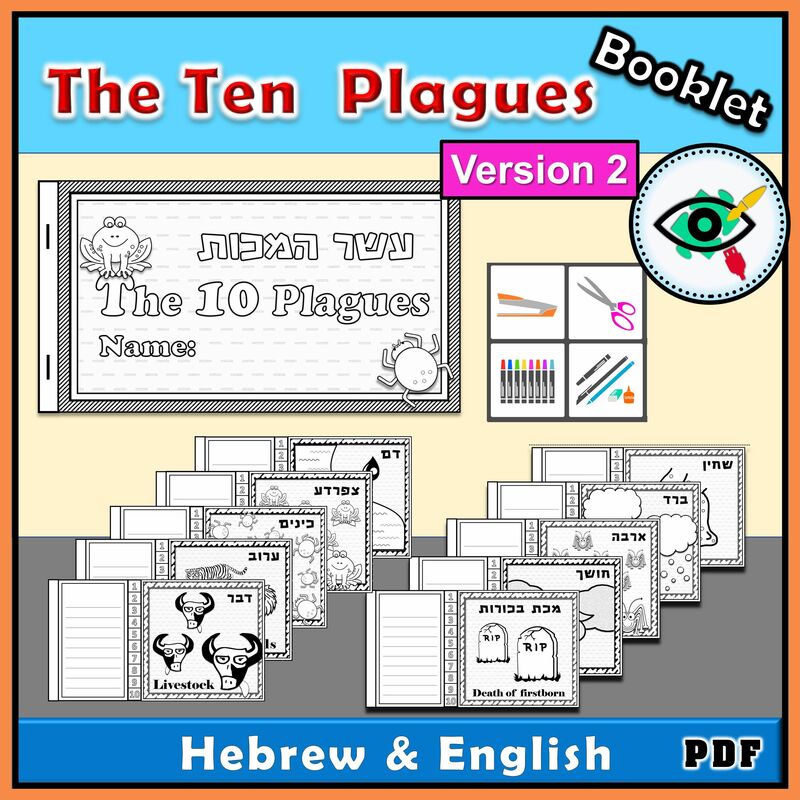 Ready to print in PDF file letter size. 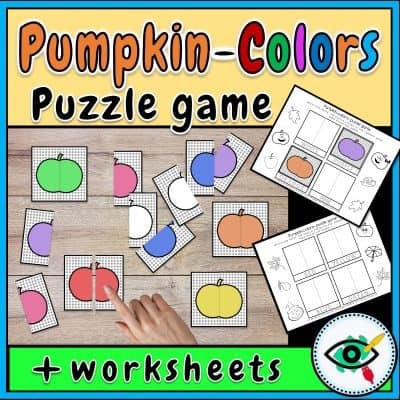 Color: Black and white Size: 5 x 6 inch (12.7 x 15.24 cm) Suitable For: Kindergarten and grade 1. Includes: Coloring Black and white images of the ten plagues, coloring the right number of the plague. 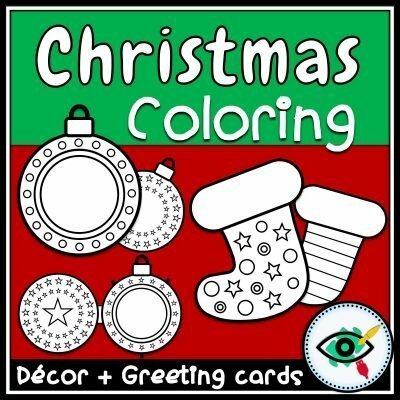 Color: Black and white Size: 5 x 8 inch (12.7 x 20.32 cm) Suitable For: Grades 2-4. 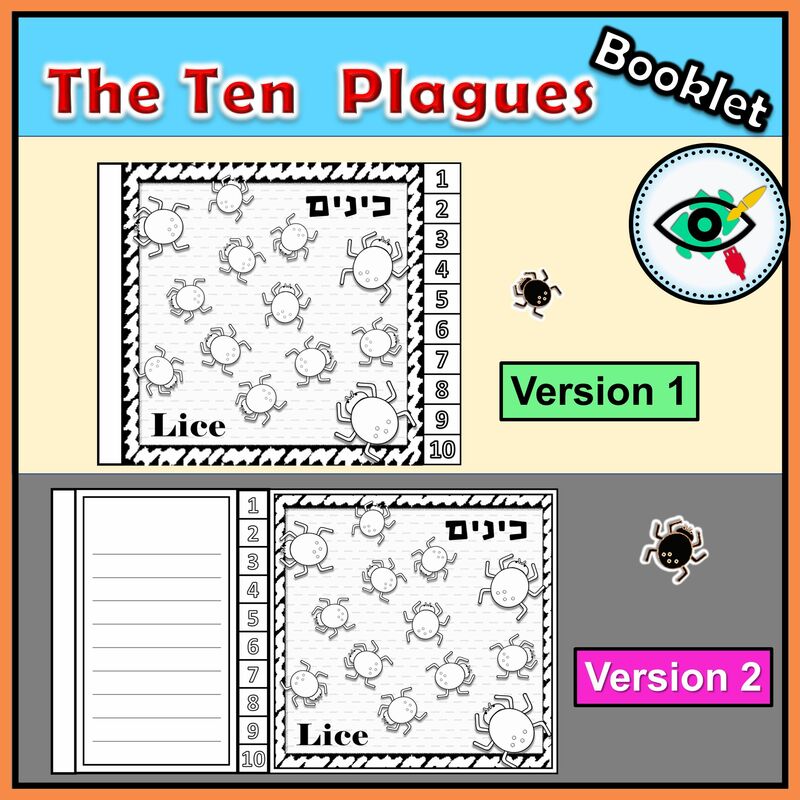 Includes: version 1 + Additional Writing area to describe or tell the story of each plague.